As an ND and mom I wanted to ensure that food introduction was fun and positive, but also a healthy experience for my son. These are the things that I couldn’t live without during the food introduction process. I found it tremendously rewarding to have made all my son’s food. I strongly encourage you to try this yourself. Not only can you have fun involving your baby in the process, but you also know exactly what is in your baby’s food. It is more economical and it makes going organic so much easier! Plus I do believe that food tastes better when its made with LOVE. Blender/ food processor: The Baby Bullet and KidCo food processor are both great. The limiting factor is that you can only blend a little bit each time, although I didn’t find this to be a problem for me. If you are lucky to have a Vitamix you will be able to make larger quantities of food (which is my preference) as it can handle whatever you put in it. Canning kit: This was essential for me as I like to make baby food in large quantities so that I am only doing it every three weeks to four weeks. Making larger batches is a good way to stock up and rotate your fruits and vegetables given their approximate six month shelf life. I had never canned before, but it was incredibly easy! I really like that I don’t have to be making baby food daily or even on a weekly basis. Food saver: The ability to vacuum seal my food was very helpful for a number of reasons. If you want to store larger quantities in your freezer this is a great way to do it while conserving space. Also, if you are traveling and wanting to bring your own food, vacuum sealing a few bags of food makes for an easy solutio n.
Nuby: This product is so smart! It is a net at one end with a handle on the other. This way you can give them solid foods to nibble at and chew without worrying about them choking. I have put in semi-steamed carrots or chunks of fruit and let my little guy gnaw away on it. It can also be great for teething by putting frozen fruit or ice cubes in it to help freeze the gums. Probiotics: 3 billion CFU daily. Recent research is showing that daily intake of probiotics can reduce development of food allergies by 50%! Probiotics also support bowel health and provide relief for both constipation and diarrhea. Vitamin D: 400 IU per day. Plays an important role in the development of the immune system. Vitamin D does not pass through breast-milk so this is an ideal supplement for all babies. Prune juice: As you go through the list of new foods you may find that some are more constipating than others. A gentle way to help your baby is to have your house stocked with prune juice to give them as needed. Get your child involved in the process: let them feed themselves, hold the spoon, let them get dirty and allow them the time to required to feed themselves. Let them taste the foods as your prepare it: Sitting them in their highchair as you prepare the food helps them to see the process of making food. Letting them taste it throughout engages them in the process and helps them to establish a relationship with food from a very young age. There are different methods and opinions about food introduction such as pureed baby food parental introduction as well as baby led weaning. The latter is allowing them to introduce foods as they grab for it. Pureed fruits and vegetables allows them to be exposed to an array of different tastes colors and nutrient contents. However, allowing your baby to select foods that they are interested in and feed themselves helps to establish healthy eating habits and positive feelings towards the feeding experience. It has been demonstrated that baby led weaning was more positively associated with healthy eating habits. Recent research discussing baby led weaning revealed that babies who are allowed to feed themselves have a preference of selecting carbohydrates such as cookies and crackers. As much as I am in support of building autonomy and an empowered relationship towards food, I also want to ensure that my baby is exposed to all different types of foods and flavors. I think that having a preference toward bland foods or a limited food selection makes them more likely to be picky eaters in the future. So a healthy balance between the two types of food introduction is ideal. Food introduction is such a bonding and fun experience for all those involved. I hope you and your little ones have enjoy the process! 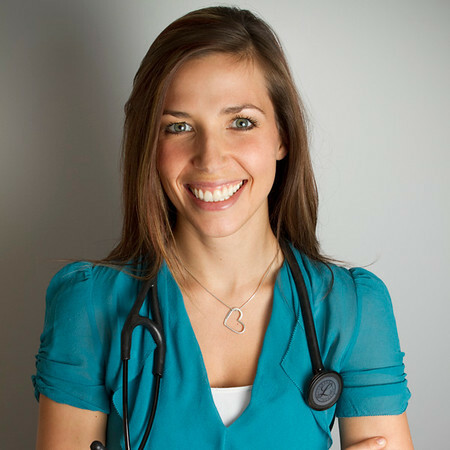 Disclaimer: Naturopathic doctors believe in providing individualized care. The items that have been discussed are things that are good basic food introduction, but this article shouldn’t take place of seeing an ND for specific prescription and appropriate dosage for your baby. Please see a Naturopathic Doctor to ensure positive and healthy food introduction experience.